Last night I taught French Wine: An Evening of Tasting & Discovery for the South Orange-Maplewood Adult School. 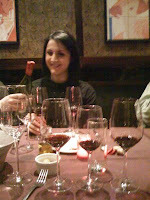 24 wine lovers came to drink, eat & learn about the pleasures of French wine. Our host was Papillon 25, where chef Yanick Ramieri whipped up chicken dumplings, fried calamari, and spicy skewered chicken to accompany the drinks. Our night began with a modestly-priced ($28) Champagne from the house of Duval-Leroy . This light-flavored Champagne was satisfying, but, to me didn’t compare to some of the more expensive ones, including Moёt Chandon or Veuve Clicquot. One piece of trivia I learned recently: it’s good to dry your champagne glasses with a cotton bar towel. The reason? The bubble trains that shoot up from the glass are formed around tiny pieces of lint. This is one time when it doesn’t pay to have pristine glasses. Sure enough, our flutes were just out of the dishwasher and the bubbles were a little disappointing. We next moved on to Sancerre Delaporte Loire Valley 2006 Chavignol. This was a softer version of the classic Sauvignon Blanc with citrus on the nose and less acid than usual. Reactions were mixed to this pour. Another trivia: the town of Chavignol, where this wine is made, is also the namesake of spectacular Loire goat cheese that’s comes in thick discs. Chavignol cheese is a fantastic pairing with Sancerre. We moved southwest to explore Bordeaux next. Papillon had supplied us with their house Bordeaux, which was Baron de Rothschild Lafite Reserve Special 2007, a jammy wine, deep garnet, that was 70% Merlot, 30% Cabernet. This wine was palatable but quite simple and young: I showed my class the shine on the wine’s surface which indicated its youth. I would have wished to serve something older and more complex: maybe next time. We moved east across the country to end my lecture in Burgundy. From this region, we enjoyed the hit of the night: Domaine A.F. Gros Hautes Cotes de Nuits 2002. Earthy on the nose and palate, but balanced with rich fruit that’s mellowed nicely with age, this wine was a steal at $20 from the Wine Library. By this time, the group had grown quite convivial. I turned off my powerpoint and poured our last wine, a bonus, Fleur Des Pins Graves 2006, made of Semillon 70%, Sauvignon Blanc 30%. With aromas of marmalade and an appealing golden-orange hue, this was a sweet and delicious way to end a wonderful evening. As my happy students left, they thanked me and asked when the next class would be. We’ll see. For now, I’m pleased that my first foray into the world of conducting wine classes—with wine--went so well. It’s the day when everyone’s Irish! So, what’s a wine lover to do if she doesn’t feel up to a Guinness, and the thought of green beer turns her, well, green? How about enjoying an ancient Irish wine-based beverage--mead? Many experienced Renaissance Fair visitors are familiar with the sweet beverage, as it is often sold at these events. But there’s a lot more to mead than men in tights and corseted ladies. Mead is a mix of white wine, honey, and herbs. This sweet elixir is said to have wondrous properties. I love the old Irish tradition that after couples were married, they were sequestered for a full moon cycle (a month) with a supply of mead and a comfy bed. If a baby was born nine months later, it was attributed to the fertility powers in the drink. This was the beginning of our honeymoon tradition, which unfortunately has been downsized to a much shorter time, although the addition of traveling to luxury accommodations is a welcome one. Bunratty Meade is a traditional Irish one that’s available in the U.S. But, whatever you’re drinking today, enjoy a safe and fun St. Patrick’s Day. On Tuesday, March 24, I will meet 22 wine lovers at the elegant Papillon 25 for my South Orange-Maplewood Adult School class, French Wine: An Evening of Tasting and Discovery. 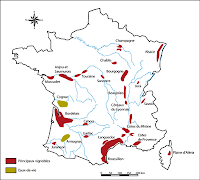 I am excited to have such a robust registration for this class, in which I will discuss the wine regions of Bordeaux, Burgundy, Champagne, and the Loire Valley. This is the first class I’ve taught in which we will have wine tasting, and I’m selecting at least four representative wines from the regions, so it should be lots of fun. Attendees will be able to learn about what grapes grow where, how the winemaking techniques differ in the regions, and view photos from my recent trips to France. Can’t wait to bring a little bit of la belle France to South Orange, N.J. The other day I went into my local wine shop and asked if they had any Vermentino. I discovered this fragrant white wine recently at an Italian wine tasting and wanted to explore it further. Not only did they not have the variety, but their resident Italian wine expert had never even heard of it. Today, I discovered a terrific online resource which would have helped my wine shop friend. 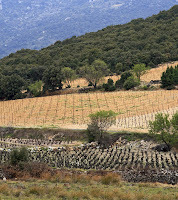 Decanter.com has an incredibly useful list of 123 wines listed from A-Z, from Aghiorghitiko (a Greek red) to Zinfandel. This list is helpful for anyone who tries something new and wants to learn more—it even includes grapes that have different names in different countries. I learned that the Italian Vermentino I enjoyed is known in southern France as Rolle—hey, I had a glass of that at a Women for Winesense dinner! I can see this as also being a great resource for those trying to join the Wine Century Club. These ambitious imbibers are on a mission to try wines from 100 different grape varieties. There are many wine resources online, but this is one that I’m sure I’ll return to time and again. If opening one special bottle of wine is event-worthy (see Open That Bottle Night below), what about opening 31 special bottles? That was how many wines were poured during the marathon wine–tasting and dinner I attended at the cozy art deco room of the North Square Restaurant in the Washington Square Hotel in the heart of Greenwich Village. This Open That Bottle Night event was organized by Snooth, an all-around online wine destination where you can log your favorite wines, access other folks’ tasting notes, join groups, make friends and search their huge wine database. The event was also loosely tied to Twitter Taste Live, an online event so geeky that it’s hard to begin to describe, but, in brief, a lot of us had iPhones in hand and were whipping out micro-tasting notes, and, when the ability to quickly summarize wines failed us, snarky comments and photos. One of the most enjoyable parts of the evening was dining with such a witty and charming group, including Robbin from Vineyard Adventures and her wine-loving friends, Catherine and Scott, as well as Snooth staff Mark and Gregory, music biz guy by day and chef by night Erik, wine educator Ben, and assorted other great peeps. The wine ranged from very good to outstanding. In a night of truly wonderful reds, old Barolos in particular stood out, the wine that made the biggest impression on me was white, a 1991 Eyrie Vineyards chardonnay from the Oregon's Willamette Valley. The same climate that produces wonderful Pinot Noirs, just like Burgundy, can apparently produce spectacular age-worth Chardonnays, just like Burgundy. With a hard candy butterscotch flavor, deep gold color and intense buttery aromas, this was a chard that aged beautifully. Our dinner was delicious, too. My lambchops were juicy and perfectly medium-rare, and our assortment of appetizers included a chopped tuna tartare served with creamy guacamole and crunchy sprouts—a really well-executed dish. So, cheers to Snooth for organizing a great event and to all the attendees for sharing such wonderful wine.